Global citizenship is about shared values and shared responsibility. First, let’s set the stage: the world is becoming more global and interconnected every day. From multinational corporations to climate change to social and political movements, humanity’s fate is increasingly intertwined. There are two kinds of global citizens: individuals, who share a set of values and responsibilities; and corporations, who have focused on globalization and seem to have left global citizenship behind. I am focused on being a role model for individuals, helping corporations become better global citizens, and highlighting the importance and voices of global citizens everywhere. Global citizenship is about the shared human experience. It acknowledges and celebrates that, wherever we come from and wherever we live, we are here together. Our well-being and success are ultimately interdependent. We have more to learn from one another than to fear about our future. Global citizenship is also about shared values and shared responsibility. Global citizens understand that local events are significantly shaped and affected by global and remote events, and vice-versa. They champion fundamental human rights above any national law or identity, and social contracts that preserve elements of equality among all people. Diversity, interdependence, empathy and perspective are essential values of global citizenship. Global citizens harness these values and are uniquely positioned to contribute in multiple contexts — locally, nationally and internationally — without harming one community to benefit another. They foster and promote international understanding. Global citizens include individuals, corporations, global nomads, “glocals,” young and old, big and small, for-profit and non-profit, public and private, introverts and extroverts, men and women and children and anyone in between. Global citizenship and long-term, visionary leadership go hand-in-hand: Individual leaders who espouse shared values, and corporate citizens whose governance, ethics, business model and investment strategy create — not only extract — value in each and every place they touch. Global citizenship is not the same as globalization. Globalization — the process by which organizations develop international influence or operate on an international scale — is driven by economics, business and money. It’s about the flow of products, capital, people and information. Global citizenship, on the other hand, is driven by identity and values. Global citizens build bridges, mitigate risk and safeguard humanity. While globalization is under hot debate today, we have never needed global citizens more than now. Global citizens are not born; they are created. Children do not have an innate understanding of their shared humanity; they learn this over time. The importance of education and enabling global perspectives cannot be understated. Historically, global citizenship was rooted in a common desire to prevent war. Common reasoning was that the more we knew about each other, the more likely we would ensure peace, progress and prosperity. More recently, the Human Genome Project has shown us — for the first time in human history — that scientifically, we are all one. New technologies also enable us to connect with more people in more ways than ever before, allowing us to discover our similarities and differences, better understand our interdependencies, and expand our worldviews. Yet many people don’t feel this way or have not had such experiences. Around the world, we see people who lack a sense of belonging: they do not feel a deeper connection to other places, people or cultures. Often they do not feel as though they even belong at home. Moreover, especially in developing countries, people who have been unable to participate in the “digital revolution” have also been left out of these conversations. Connectedness is not universal. In the corporate realm, all too often in recent decades we have seen companies that have put corporate interests above those of individuals, communities and the environment. We read about unethical behavior, corruption, rent-seeking, egregious labor practices, environmental degradation, and worse. These activities represent the antithesis of what the world needs. Global citizenship helps bridge these gaps and rectify these realities, and global citizens are its ambassadors. Doing this is not only about mindset; it is about actions, lifestyles and building greater connections over time. Why now? What’s different about today? Despite the fact that we’ve been living in an increasingly global world for centuries, debates about globalization today are raging unlike almost ever before. From Brexit to the U.S. presidential election, rising nationalism and refugee crises, we see backlash and misunderstandings across-the-board. Global citizenship has always been important. But it is now urgent to highlight its importance to society, business, and the world at large. Technology: The internet is borderless and globalization has gone digital. Smartphones and other mobile devices give us an unprecedented level of global interconnectedness. New technologies have an incredible democratizing power, for those who can access them. If we couple this interconnectedness with global citizenship values, then the world opens up — and gives voice and opportunity — to far more people. Leadership: Globalization and global citizenship are not the same. Globalization has brought unprecedented benefits to many, but not all. Successful leaders are global citizens, whether they are CEOs, prime ministers, community leaders or children. Whether and how we build a truly inclusive, sustainable future will depend on our ability to help new generations of leaders to become global. Business: Global businesses, in particular multi-national corporations (MNCs) are bearing the brunt of today’s globalization debates. And they should. For decades, and even centuries, MNCs have extracted more than they have contributed. They have benefited a few (typically executives and shareholders) at the expense of others (often those without a voice: workers, communities and the environment). Nonetheless, globalization has added immense value to the global economy (to the tune of 10% of global GDP). More interconnected countries and emerging markets have benefited most from this trend, in terms of economic growth. So it is not that globalization itself is bad, nor that it is going away anytime soon. This is where global citizens are crucial, because they understand both global and local contexts. For example, while globalization has narrowed inequality among countries, it has exacerbated it within them. Hence the solutions are more about targeted domestic policy changes than closing borders or deregulation. In terms of business, it’s time to revise MNCs’ strategies to ensure they generate global prosperity, engage society and contribute to a greater good. Politics: Many politicians see globalism as a disease, and nationalism as the cure. But this is a false dichotomy. “Deglobalizing” will not achieve the goals of peace, progress and prosperity. Rather, we must look to global citizenship’s shared values for lasting answers. Youth, education and workforce mobility: New technologies break down barriers for learning, development and earning income. Today’s youth tend to see the world — and themselves — as more global, borderless and fluid. And one in every seven people in the world today is already an immigrant. Yet these themes are full of unknowns ahead, from the automation of jobs to the “youth bulge” in many emerging markets. High-skilled workers may be less tied to any particular location or profession, while low-skilled workers may have ever-fewer options. Global citizens who understand the layers of implications will be key to developing responsible solutions. Environment and climate change: There is probably no other issue that more clearly underscores our interconnectedness than climate change. The earth depends on collective stewardship that transcends any geopolitical border or economy. One of the many essential roles that global citizens play is to protect and enforce global compacts. The health of the planet, and society, hinges on global citizens leading this charge. Cities and urbanization: We are living in the urban millennium. By 2100, more people will live in cities than exist in the world today. Cities are the engines of global growth. They are full of opportunities as well as challenges. They present a classic case of “glocalism”: the most successful cities are both connected globally and able to address local needs… in other words, in perfect alignment with the values of global citizenship. 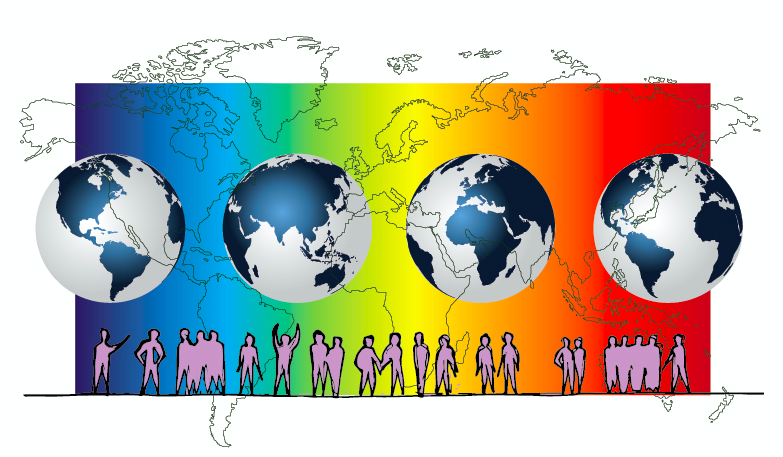 Global citizenship is not a one-size-fits-all concept, nor is it a panacea. But it is an extremely powerful tool in our 21st century toolbox for building a more sustainable, resilient and compassionate world. Everyone can play an important part. The world is waiting for you.